Vista Collection preview not available. Please see brochure below for more color and panel options. It’s the perfect reflection of your style. The modern industrial look goes residential with the introduction of the Amarr Vista collection. 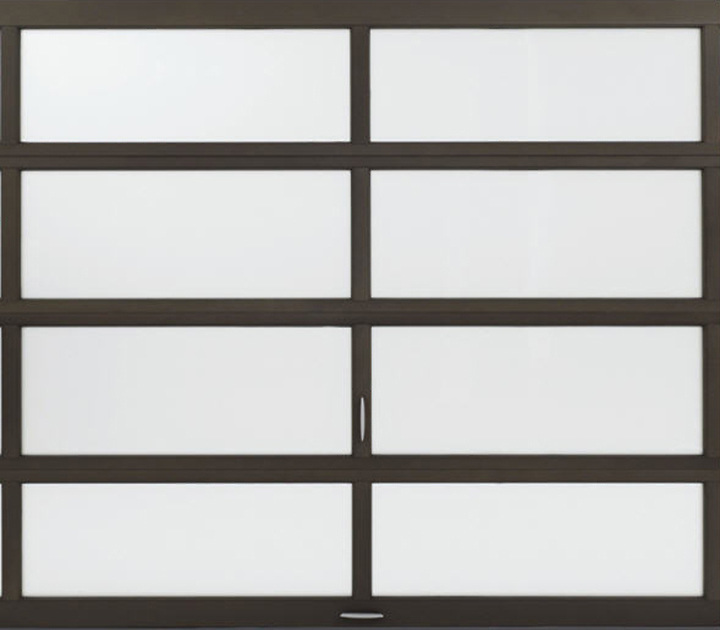 From the outside, these sleek doors perfectly mirror the clean lines and glass expanses of your home’s contemporary design. Inside, they transform your garage into a bright and inviting room.